Just because Sony's got a new console out doesn't mean people aren't still attached to their PS3s. Here are some tips for PS3-related holiday shopping. DO consider buying a PS3 for someone who already has an Xbox 360 or Nintendo console. It may seem gratuitous, but you're a generous soul and the kind of gift-giver who realizes that only cruel people would deprive someone of the chance to play the PS3-only The Last of Us as well as a slew of other PS3 exclusives such as Ni No Kuni and the million or so games in the Ratchet & Clank series. Plus, there are a lot of free games available through PlayStation Plus. Oh, and Gran Turismo 6 comes out only for PS3 in December. 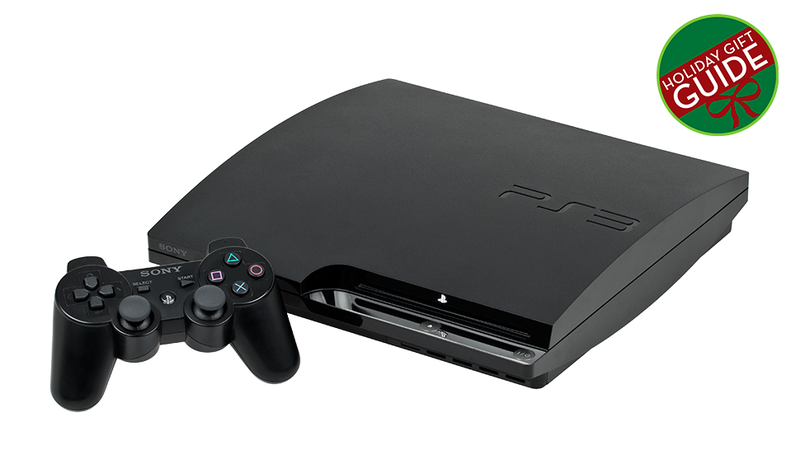 DO consider the PS3 for the person who has no consoles, but recognize that the person might prefer the jump to next-gen. There aren't many games for the PS4 or Xbox One, though, and a PS3 would give them access to way more stuff to play. (The PS4 can't play PS3 games, which you probably knew.) Caveats galore: if more of their friends play on Xbox Live, they'd prefer an Xbox 360 over a PS3. If they like Zelda or Mario, you should get them a Wii U. If they're more of just a straight-up Call of Duty and Madden gamer and don't play much else, you could get them a PS3, 360, PS4 or Xbox One. It's pretty much a wash. If they want to play GTA V, flip a coin between the PS3 and 360. DO buy The Last Of Us on PS3. The PS3-exclusive game from the makers of the equally great Uncharted series crafted one of the best narrative experiences of the year, as well as a pretty fun and challenging stealth game. Here are a bunch of other great titles to choose from, too. Count yourself fortunate if you have a PlayStation 3. You’re in for a good time. DO buy Puppeteer for someone you'd like to play games with. It's not just a very charming (if occasionally overly noisy) game, it's got a great co-op mode that lets two people play the entire story together. DO buy a year of PlayStation Plus. You won't just be giving access to PS4 online multiplayer and a bunch of other services, you'll be giving the gift of games, thanks to the massive collection of free PS3 and Vita games PS+ subscribers get access to. DO pick up A PSN gift card. The PS3's been getting larger and larger hard drives and there are lots of titles available for download. The PSN credit will double for the Vita. DON'T buy any stands for the system unless you/your gift receiver absolutely must have one.